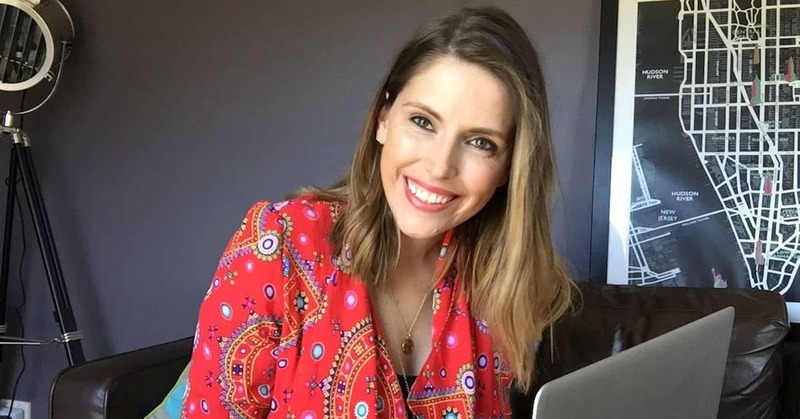 Kate McKibbin is a blogger from Australia and runs two six-figure blogs, which means she makes over $100,000 a year from each. Her website Drop Dead Gorgeous Daily is a fashion blog and she also runs Secret Bloggers Business, a blog dedicated to helping other fashionistas get started with blogging. 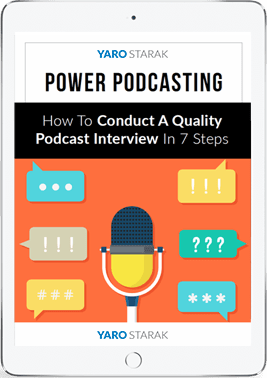 In this podcast interview, you’ll hear the story about how each blog was started, how Kate grew her traffic, and how she makes money. Kate grew up in rural Victoria, a southern state in Australia. Her dad managed his own business, so she naturally leaned towards entrepreneurship too. Kate’s dad was also an internet sales provider so they were some of the first people in their area to have internet access. Kate loved fashion ever since she was a child so it’s not surprising her first blog to take off was a fashion blog. What most people don’t know is that she built her first website at age 13. This was no fashion blog though, it was a fan site for Nirvana. Anyone living in the in mid 90’s would know this band was the biggest deal around at the time and Kate was not going to let her teenage angst go to waste! Kate worked in advertising in London after leaving to go travelling at the end of high school. Kate explains that her role in the corporate world was a very bad match and she found herself in dire need of an escape route before things went seriously pear shaped. Kate wanted to get involved in publishing and writing and to find more of an outlet for her creativity. By this time she was still only 21 years old and in an amazing burst of creative inspiration and impressive execution, she created a website to publish magazine type articles she wrote herself. She used this to demonstrate to editors that she could do the work of a magazine journalist. Her website was a creative way of showing potential employers an online CV. Whilst that’s quite common practise now, at the time Kate did this, it was still a very original idea. She pitched an idea to write feature articles to the editors of all the magazines she could contact and got picked up by Cosmopolitan. This lead Kate to work in the publishing industry for three years then go into web editing. Kate’s technical skill in creating and managing websites and online content was rare in what was still a relatively new industry. Typical for an entrepreneur, Kate was learning on the go and figuring things out as she needed to. She essentially learned how to create websites using Google to find the information she needed. Being a web editor still wasn’t the most fulfilling role though and by now Kate had moved back to Sydney and needed to make more money. At the time there were three main newsletters everyone subscribed to for fashion but none were Sydney based, so Kate decided to create a newsletter and offer online shopping for fashion. Because what she was doing was still very new and she worked in the magazine industry, Kate was very lucky to get her site mentioned in a few well known print magazines so her email list grew quickly. Kate began to make around $1000 a month from advertising and was offered a one or two day a week contract role, so decided it was time to quit her full time job. In a rather risky move, Kate took out a bank loan for $10,000 and holed herself up at home to learn everything she could about online marketing and systemization for her business. Kate’s risk taking and incredible work ethic paid off. She was making a full time income from her fashion newsletter within the first year. Things shifted gears for her fashion site when she turned it from just an email newsletter to the traditional blog magazine model. Posting regularly to then new social network Facebook, she grew subscriber numbers substantially. She also learned about SEO and was relentless in implementing whatever she discovered. Serendipity led Kate to take on her first intern who needed to work one day per week at no charge for her university course. The internship went so well, Kate went on to employ her girl-friday at the end of the six months. Having two people working on the blog meant they could create a lot more content. Drop Dead Gorgeous Daily went from two posts per day to a whopping six to eight posts per day. These were not long editorial pieces, being a fashion blog, they consisted of a lot of pictures. In keeping with the strong focus on providing visual content to her audience, these days Pinterest is the big game changer for Drop Dead Gorgeous Daily. Within six months of using Pinterest, Kate had 5,000 followers. They grew these numbers by posting the best stuff they can find consistently. They post about 50 pictures a day using some of their own images and some re-pinned images. Kate’s fashion blog is currently at 150,000 followers on Pinterest as this goes to air. Kate’s primary source of income was still selling ads. Selling ads was never something she felt passionate about. Kate wanted to do something more interesting and creative than just keep growing her fashion blog. She played around with e-products but there isn’t a high pain point to drive people to action, fashion is really a luxury experience, not an acute need. Even though Kate wasn’t sure what she really wanted to do at this stage, she knew she didn’t want to be an ad salesperson for the rest of her life. Just repeat to yourself – There are easier ways to make money. The seed that was planted took sprout when Kate was having coffee with a friend who also blogs and had been at it for the past seven years, but with none of the success Kate had experienced. Kate’s friend kept taking notes while she was talking. The penny dropped as Kate realized that over the past six or seven years, she had amassed an incredible resource of information about growing a successful and monetized blog in the fashion industry that she could teach to others. There was no one else teaching about blogging in this particular niche and she knew she had a resource of knowledge that was valuable to others. This is how Secret Bloggers Business came about. 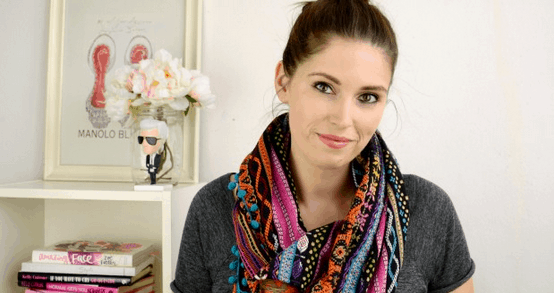 Initially, Kate hitched her blog training program to her fashion blog but soon realized both businesses needed to be run independently of each other. To begin with, she sold her blog training program for $197. Her first launch had a very good response with 50 sign ups. Kate created the content for her training program as it moved along rather than holding off launching until all the course content was done. This is a great strategy, one I always recommend to my own blogging students. Kate was able to tailor the content she was creating to suit her clients needs as she worked with them throughout the program. After the course ended, she asked her clients what else they wanted help with then found ways to provide that in her next training. Both of Kate’s blogs are run as completely separate businesses. In order to run both successfully, Kate outsources a huge amount of the work for Drop Dead Gorgeous Daily. She hired a couple of writers, a VA, a designer and a copy editor to run DDG – all of the team are freelancers. 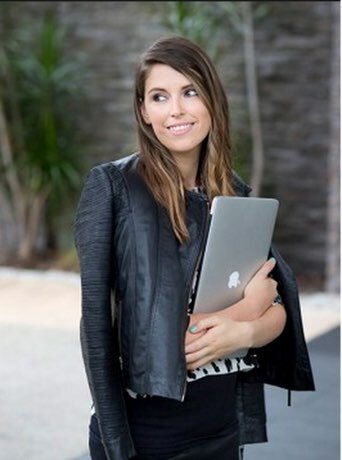 They work in a co-working office space in Melbourne and Kate spends two days a week in the office space working on the fashion blog with the team. The rest of the time she works on Secret Bloggers Business and is unwavering in protecting her time and energy to focus on only one business at a time during each allotted day. I’ve only highlighted some of the key subjects we covered in this in-depth interview. Make sure you listen to the podcast or read the transcript below to get a much deeper insight into how Kate successfully makes money from her blogs. Don’t forget to sign up for my new email newsletter for podcasts to get all the new stories from online entrepreneurs who have found a way to make great money doing what they love. Nice one Yaro. Kate is a content-machine! Congratulations on your successes. Looking at the success of your Fashion blog and all the knowledge you accumulated, the second blog about: how to do what you do, was a no brainer, great work. Great interview, Yaro! Despite me being more after sewing fashion/garments, but not exactly fashion itself, Kate’s story is really interesting for me. I was able to sort of re-check my ideas for developing an audience (for instance, using Pinterest) and also to hear about her path through out the years. I’m glad there are other fashion ladies in Australia with other quite unexpected skills along, such as a building a website, for example. Good luck in all your endeavours, Kate! Finding a fashion blogger was very cheering up. I also would love to hear about someone who has developed a successful model with sewing, particularly sustainable, eco-friendly or upcycled sewing of garments. Anyway, thank you, Yaro, for the diversity of people you talk to and sharing that with us! Interesting read Yaro. Instagram is a great place for bloggers in image heavy niches like, Food Fashion etc. With Pinterest introducing the buyable Pins concept, do you think it will be able to offer good competition to Instagram? I’m sorry but it’s so hard to follow her. It’s still very unclear how she really made $100,000 from DDG website? It sounds like as if she was almost reluctant to share her success. But you did a great job interviewing Yaro. I’m more interested about her first fashion website DDGdaily.com. What sort of affiliate marketing (promoting clothes and fashion related products) and from which company? I’m confused!! I looked at her website but most of her contents are very short and thin. And it’s mostly photos. Not very informative. If you are trying to make money through affiliate marketing you need adequate content per post whether you have followers or not. I hope you can enlighten me 🙂 Thanks for this!